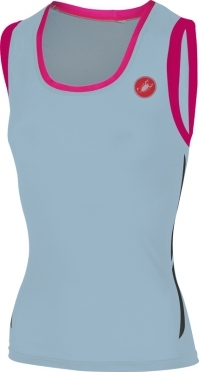 This Castelli Alii run top blue/pink women comes into the Castelli lineup as a direct request from Timothy O’Donnell when he wanted to do better than his fifth place Kona finish. 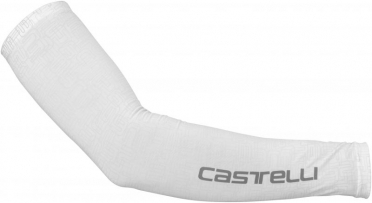 Castelli took the insanely light and ventilated A-Vent fabric and gave it a loosish cut to allow maximum airflow between the top and the body. The top weighs next to nothing but covers a wide range of conditions: the fabric is excellent at keeping you dry when you want it too but really shines when you need cooling and can pour water over it at the aid stations. Tip: keep in mind that the Castelli clothing fits smaller than normal.